How to Add Merge Tags? 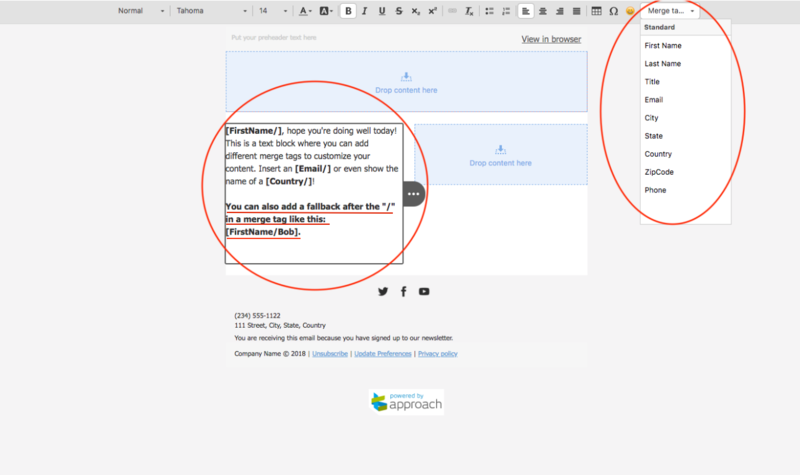 Merge tags let you add content to your email dynamically. Tip: A fallback is shown above and can be set by typing in your own content after the "/" symbol inside of the merge tag.